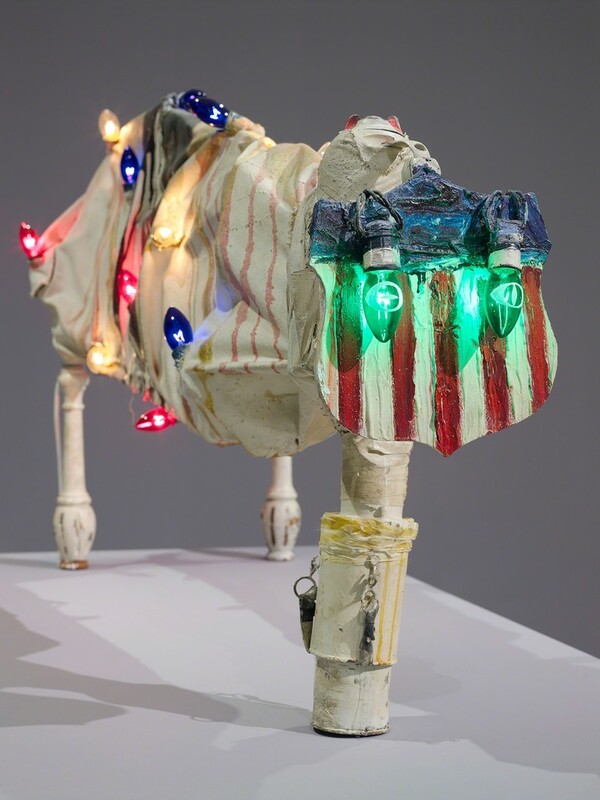 America My Hometown traces Edward Kienholz’s formative years (1954-1967), showing an artist coming to terms with both his unique vision and the social climate of the US throughout this tumultuous era. One Day Wonder Painting (1954), the earliest work in the show, reveals Kienholz’s initial desire to become a painter. He soon developed a distinct artistic language based on his ability to transform found materials – including the discarded furniture on the streets of Los Angeles – into elaborate assemblage and complex tableaux with an angry and inventive wit. Bringing this vision to bear on the political and social issues of mid-century America, he became an iconoclast for whom nothing was sacrosanct. From the start of his artistic career, he rallied against the world with what John Coplans described as ‘a compulsively puritanical fury which impel(led) him to action’. Just four years after One Day Wonder Painting, Kienholz created The Little Eagle Rock Incident (1958), a reaction to the race riots at Arkansas Central High School in Little Rock the year prior. This was his first work that directly referenced a single, topical event. 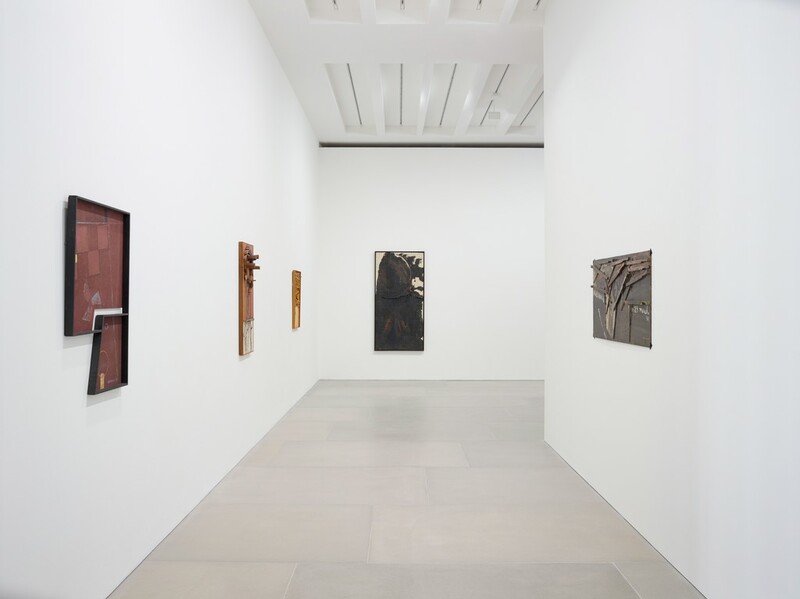 Employing taxidermy for the first time, the work signalled a move from construction paintings into assemblage. In addition to his adroit handling of materials, Kienholz always displayed a sharp critical intelligence and a wry awareness of art’s role in an age of rampant capitalism. Not only artist, Kienholz also founded the legendary Ferus Gallery, along with Walter Hopps, in 1957. 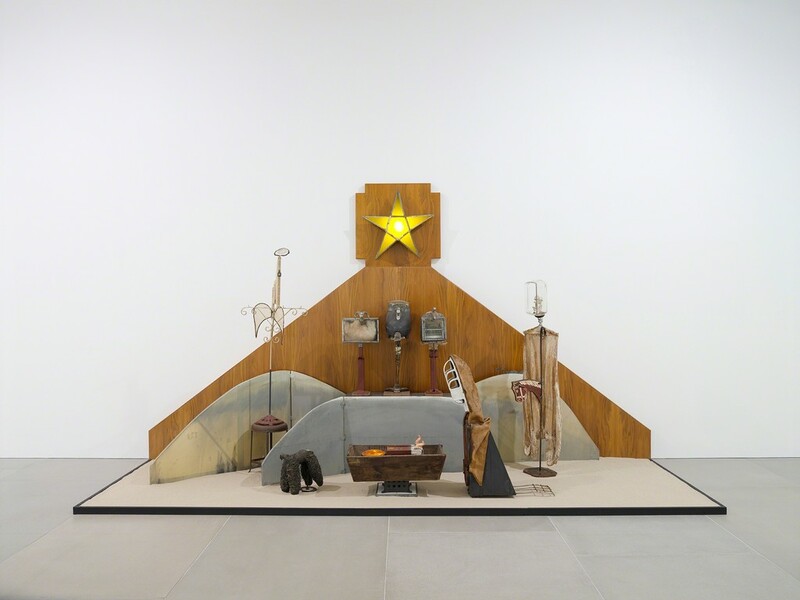 The American Way II (1960) demonstrates the more conceptual and performative facets of Kienholz’s practice – and an ability to poke fun at the artist’s relationship with his collectors. The veiled painting was sold to a collector with half of the work paid for upfront and on the condition that the work should remain covered for ten years. If the collector unveiled the work before this period had passed, he would pay the full price of the painting and relinquish the work back to the artist. Kienholz continued to parody capitalism and subvert the sale of art objects in his Concept Tableaux. 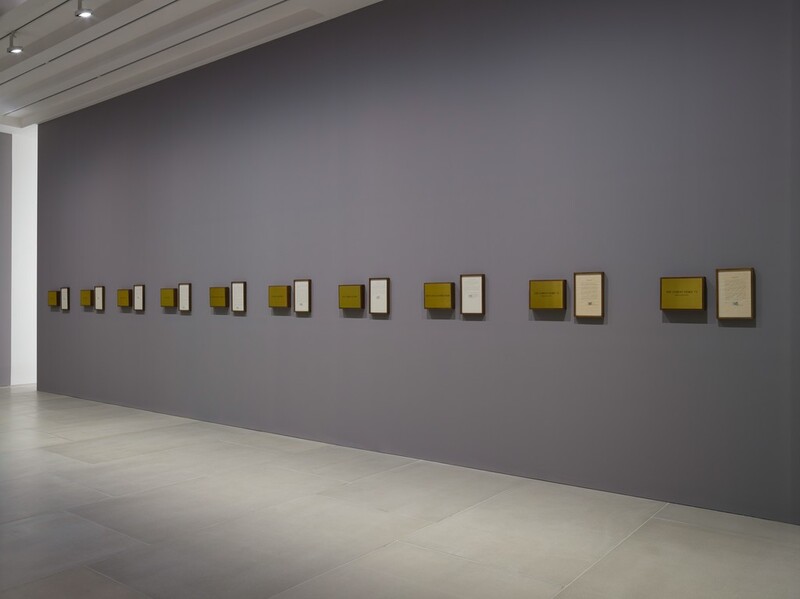 These framed descriptions of ambitious, imagined artworks came complete with a payment plan for the various stages of construction. Each tableau could be purchased as a work in itself with the option to pay the artist to realise the piece, for an additional, greater price. The set of ten Concept Tableaux in the exhibition were produced between 1963-67; none was ever realised. 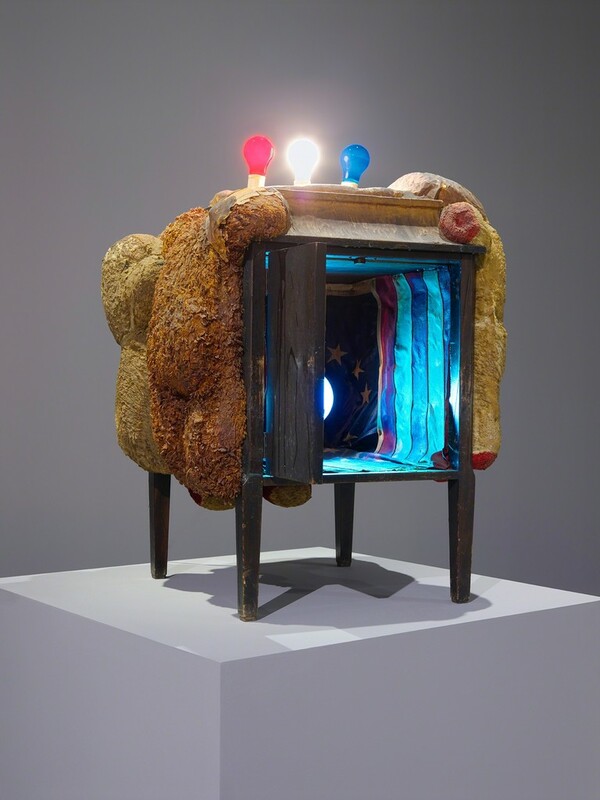 Distinct in Kienholz’s oeuvre, Marco Livingstone lauded the work’s ‘lightness of touch, bordering on invisibility, that might seem at odds with the aggressive materiality that one instantly imagines as a key characteristic of his art’. Producing work over a period of extreme political tension, social anxiety and rising global capitalism, Kienholz created a body of work that, in the words of Guy Brett, reviewing his 1971 exhibition at London’s ICA, were ‘a protest against a dehumanized, fear-ridden society’. 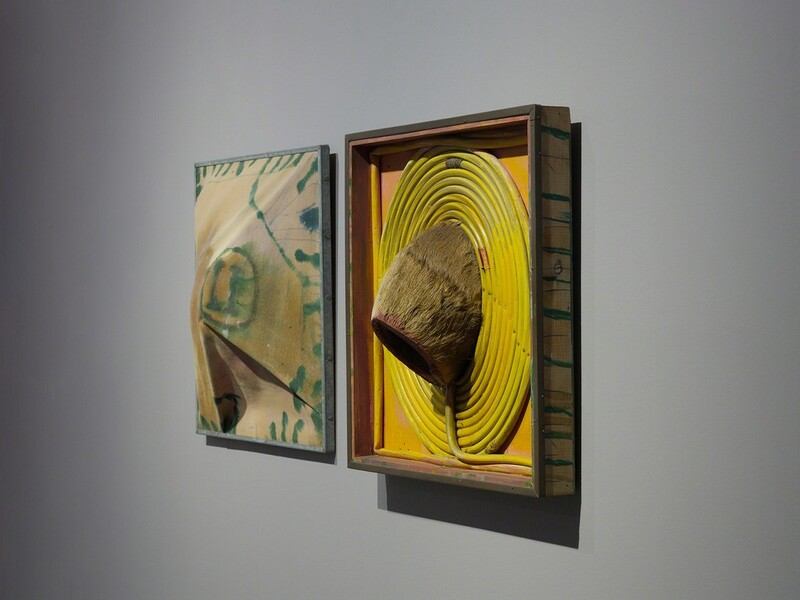 This can be seen throughout this survey of his earliest works, and perhaps best exemplified in The Nativity (1961), an assemblage that reinterprets this biblical story through the castaway materials and everyday icons of his adopted hometown of Los Angeles.